LOS ANGELES (AP) — Across the vast Pacific, the mighty bluefin tuna carried radioactive contamination that leaked from Japan's crippled nuclear plant to the shores of the United States 6,000 miles away — the first time a huge migrating fish has been shown to carry radioactivity such a distance. The results "are unequivocal. Fukushima was the source," said Ken Buesseler of the Woods Hole Oceanographic Institution, who had no role in the research. Bluefin tuna absorbed radioactive cesium from swimming in contaminated waters and feeding on contaminated prey such as krill and squid, the scientists said. As the predators made the journey east, they shed some of the radiation through metabolism and as they grew larger. Even so, they weren't able to completely flush out all the contamination from their system. "That's a big ocean. To swim across it and still retain these radionuclides is pretty amazing," Fisher said. Pacific bluefin tuna are prized in Japan where a thin slice of the tender red meat prepared as sushi can fetch $24 per piece at top Tokyo restaurants. 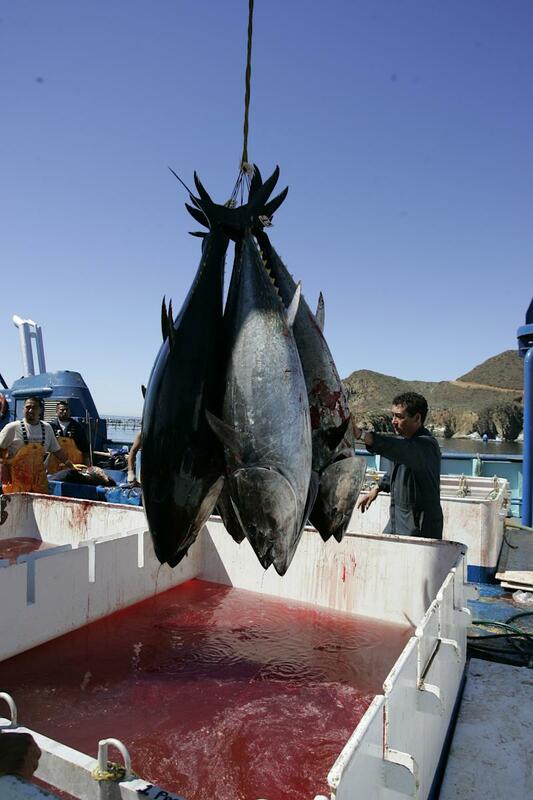 Japanese consume 80 percent of the world's Pacific and Atlantic bluefin tuna.